MEET our Special Guests: Emma Wood & Kalvin Houk!! Hey, hey, hey!!! So excited to meet ya’ll. ReadingWithYourKids! is back with a very special edition this time. Today we’re overjoyed to welcome two wonderful guests on our show. First, we speak to Emma Wood, editor in chief of Stone Soup, The magazine platform, inspiring, connecting and supporting creative kids around the world. We are also joined by Kalvin Houk, the host of A Podcast About Something, nothing, anything, and everything. So without any further Ado, grab your cup of coffee and let’s get started! 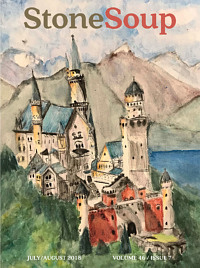 Stone Soup is the literary magazine and website written and illustrated by kids through age 13. Now in its 45th year, Stone Soup has been inspiring children to read, write and create their own artworks for publication in our Magazine and Annual, or on our blog. As an educational charity, we rely on subscriptions and donations to fund our work. Stone Soup is published by the nonprofit 501C(3) Children’s Art Foundation. Founded in 1973 and now with 45 years of creative output by children, your support helps us continue our mission of supporting the writers and artists of the future. What is Stone Soup all about? What can subscribers expect from the Stone Soup Magazine? 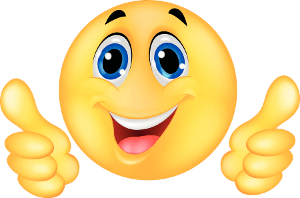 Why subscribe to Stone Soup online? What can Stone Soup do for parents and the children in their life? How can it help homeschoolers and classroom teachers? Visit their website to subscribe to Stone Soup today to get your creative child to get involved and make a difference in your and your kids’ life! Erich Ladwig and Kalvin Houk host A Podcast About Something, nothing, anything, and everything. We tackle pop culture topics from every genre imaginable. Including movies, TV, sports, current news, and more. 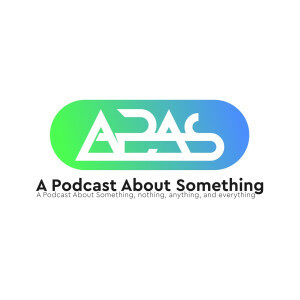 Follow the on twitter @APASomething and connect with them on their website. Kalvin Houk tells us what his podcast is all about? Kalvin and Jed discuss podcasting and great ways to interact with your kids. They also discuss the importance of reading with kids and spending more and more time with them to create memorable moments. PreviouslyMEET East, the Long-Trunked Elephant! !